We invite you to join us now. Membership brings an impressive array of benefits. 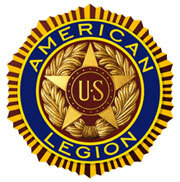 The American Legion is always there for you and your family - in Washington and nearly 14,000 local Posts throughout America and abroad. Just like you, we're "Still Serving America!" Additional information on membership can be obtained by contacting the Internal Affairs Division.